There are psychological reasons we overeat. 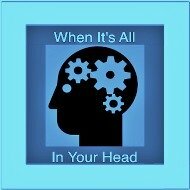 Using food to heal pain, manage stress or just because we are mindlessly eating, water cures can help. Rather than stop eating to get healthy, you will get healthy to stop eating. Water cures will help you stop eating more and will help you better digest the food you do eat. Here are the top reasons you over eat along with the ways water cures helps stop overeating. A ground breaking study found that we will eat more if more is put in front of us. Even if it is stale, we will tend to eat more if a large portion is put in front of us. In effect, biology trumps our cognitive motivation. This is not surprising to holistic nurses. 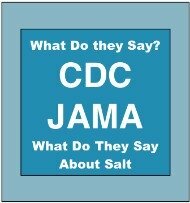 Holistic nurses recognize the problem. We are not just a body. 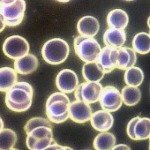 We are made up of a spirit (the life force, the force that actuates our mind), a mind (the computer that thinks inside the gray and white box on top of our body) and the body. The spirit, is the rider. The mind are the reigns and the body is like an elephant. You cannot make an elephant do anything it does not want to do. You cannot get our body to do anything it does not want to do either. Water Cures to the Rescue: Following the water cures protocol, our body is able to attain satiation. Once satiated, we no longer need to eat and usually do not. Once our body is satiated, it will not want to eat any longer. Mindless eating is probably the number 1 thing that causes us to overeat. We eat to manage stress, regulate anxiety and mediate depression. Food can provide the same reaction that opioids produce on the brain. They are cheaper and are a legal stress drug. Stress, anxiety and depression just may be the second most important of the reasons we overeat. What if there was a better way to deal with stress, anxiety and depression. 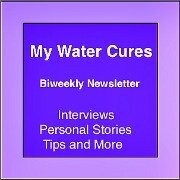 Water Cures to the Rescue: There are a number of ways that water cures helps. It helps our bodies be their best. It helps our bodies deal with anxiety and stress. It even helps managing depression and anxiety. These are symptoms of chronic unintentional dehydration. We like to think that it is a sign of chronic fluid and electrolyte imbalance. The best fluid to replace the lack is water. 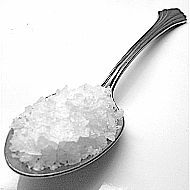 The best electrolyte, the one with the most minerals that are easily absorbable is unprocessed sea salt. Sometimes we eat simply to comfort ourselves. Humans have a number of needs. The need to belong, the need to love and be loved to name just a few. When we do not get our needs filled, we seek artificial ways to fill them. Comfort foods fill the bill. Comfort is one of the reasons we overeat. Yet the challenge, it does not bring lasting comfort. 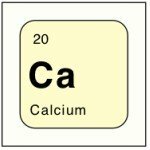 Water Cures to the Rescue: The feelings we have and the need for comfort are possibly simply cries from our body that we need more water and salt. When properly hydrated, our brains are able to handle the challenges of daily living. Water cures helps us maintain balance. Another aspect of comfort is the grieving process. Although grieving is normal, it can become abnormal when it lasts an extended period of time. Water cures helps our body to maintain normal neurological connections and repair damaged ones. Water cures will not end grieving. It will help it be balanced and come to an end sooner. If we cannot deal with our feeling or do not want to, the next best thing is to eat. Whether we do not like ourselves or what we have done, whether we are vulnerable or want to dissociate from reality, food provides the fantasy that we can escape. Again, tapping into the pleasure centers of the brain, food helps us to cope, at least for the short term. Escaping is one of the reasons we overeat. Water Cures to the Rescue: Water cures can help us to attain mental stability so that we will no feel the need to escape. When properly hydrated, our body is able to cope with almost anything that it faces. More on this to come in the mental health section of the water cures site. When we cannot cope with our mistakes or the mistakes we take on ourselves, we want to hurt ourselves. We usually cannot inflict any harm our bodies. So instead, we have a subconscious way to harm ourselves, eating foods that will ultimately kill us. Kind of killing ourselves with kindness, literally. Much like alcoholics drink themselves into destruction, we eat ourselves. 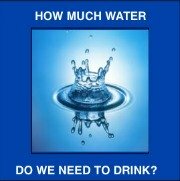 Water Cures to the Rescue: When we cannot cope, we need to look at our body physiology. Naaa, we cannot do that because we are too busy feeling bad. Be assured that we are probably in a state of fluid and electrolyte imbalance. Simply try to start the water cures protocol and you will feel better soon. These are the psychological reasons we over eat. Water cures helps our body to become psychologically healthy. 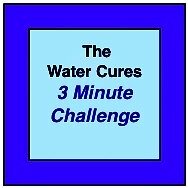 The Water Cure Protocol The number one symptom holds the clue to the cure.